Start making plans, people! ‘Cos we’re giving RM7 OFF x 10 rides, from 9am – 9pm, this Friday to Sunday! Just use the Grab promo code GRABMOREFUN and let the good times roll! Not available in Klang Valley and Ipoh. Grab Promo Code Malaysia: GRABMOREFUN – Grab is so much more fun! Ride with Grab this Friday to Sunday for so much more fun! 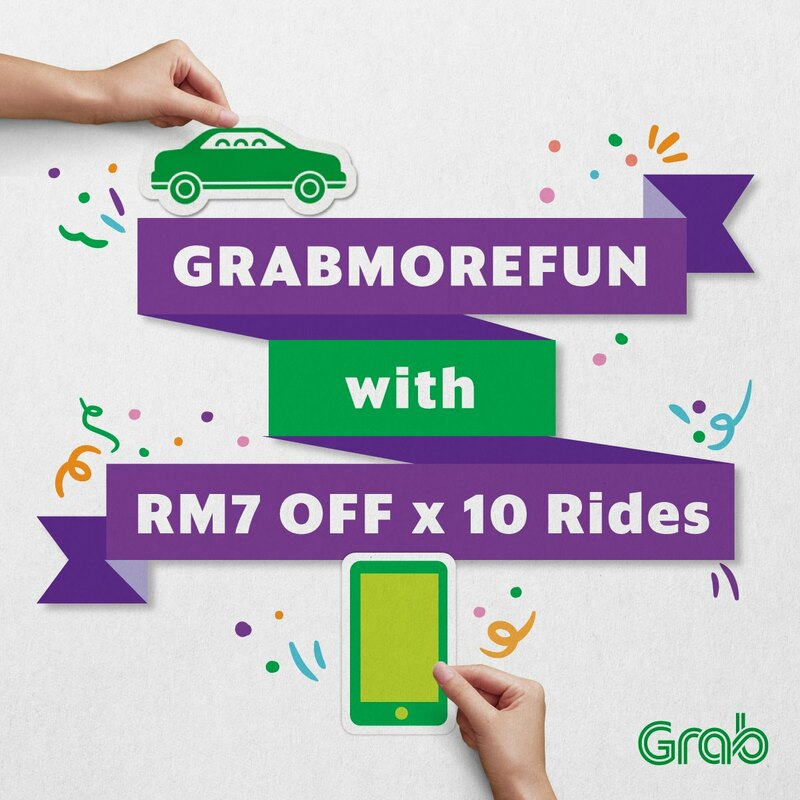 Use Grab promo code GRABMOREFUN and enjoy RM7 OFF 10 rides! Promo is valid from 9AM-9PM for the first 20,000 rides in Malaysia except Klang Valley & Ipoh. Take a Grab ride today! Valid between 4 – 6 August 2017, from 9AM to 9PM only. Maximum of 20,000 redemption per day; for both Cash / Debit or Credit card. Where can I use my promo code for RM7 x 10 rides? You can use it anywhere in Malaysia where Grab is available. The RM7 x 10 rides is valid from 4 – 6 August 2017, from 9AM to 9PM only. We have a daily cap of 20,000 redemption. Please try again tomorrow.